The content Superstylin* gravitates towards and shares revolves around fashion, design and art. If you follow Superstylin* in the social media sphere, you are well aware of this. (If not, get on it people.) Therefore, it is with great pleasure Superstylin* announces its latest appointment as Ambassador for The Cools. The Cools is an "online shop for design-conscious consumers" highlighting the categories of fashion, design and art. Users can shop for and sell new, used or vintage merchandise. The Cools community also shares inspiration with one another by posting images, videos and links to user profiles displaying one's "cool". 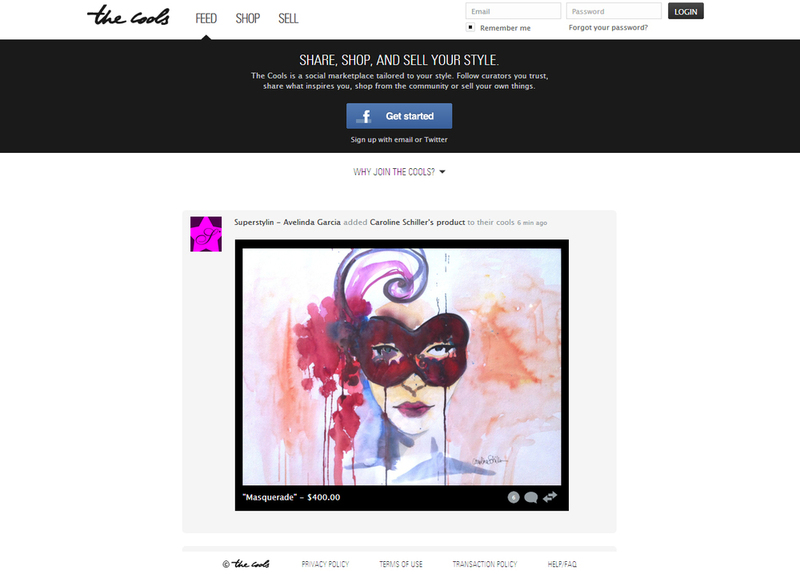 By signing up for the site, Superstylin* will automatically appear in your "following" list. As a featured profile, we are thrilled to share our style and curate even more cool while expanding our digital presence. Are you cool? JCPenney is set to unveil their brand spanking new redesigned logo during Sunday's Academy Awards telecast. The updated design bares an all-too striking resemblance to the recent Gap logo redesign. We all know how quickly the Gap reverted back to their old logo after public outrage. Will the fate be the same for JCPenney? According to Styleite, the JCPenney logo "emphasizes the letters 'jcp' by bringing them into lower case and putting them in a bright red box. The rest of the letters are red on a white field. Preserving the signature red and white anchors the new logo in the brand’s preexisting image while allowing it to grow". I don't know about you but that statement reminds me of design critiques during college when you had no idea where your project was going and you molded the description to fit the end product. I am curious to know how much money JCPenney shelled out to the graphic designer and the exact moment when groundbreaking design meant incorporating a square into the mix. Thoughts?